Holidays particularly interest us when we visit a new country. By participating in the local celebrations, we learn a lot about the location’s people and culture that we otherwise would not know about. We will never forget spending TET in Vietnam and Songkran in Thailand. We always talk about the holidays we participate in while abroad, but since we are native Poles, you may be wondering about the Polish holidays that we love to celebrate in our homeland. 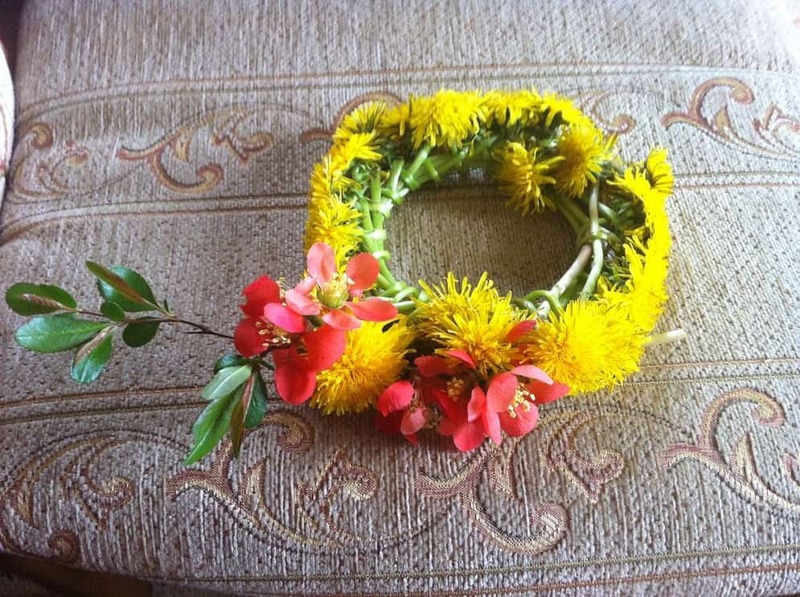 Do you know that we have a name day in Poland for each of many family and saint names? When do we celebrate Poland Independence Day? In this post, we have compiled a list of all the Polish bank holidays throughout the year. Whether you come to celebrate your heritage on Poland name day, give and receive gifts on Santa’s Day, have a long weekend on weekend majowy or want to see our Independence Day Poland is a wonderful place to celebrate holidays. In fact, if you’re looking for a great trip that highlights all of Poland’s best places, we highly recommend this comprehensive tour by Insight Vacations. 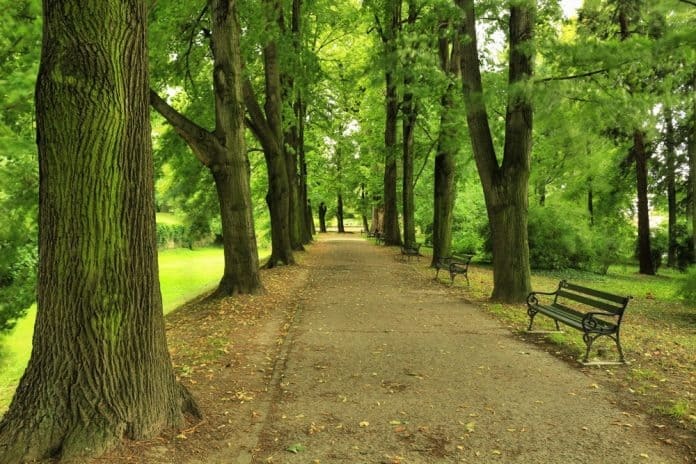 To learn more surprising facts about Poland, read a non-native’s insights here. January 1st is a national holiday in Poland – all the shops are closed and there is literally nothing happening in the country. Everybody stays at home and are cures their hangovers after the New Year’s Eve celebrations. About 90% of Poles are Christians, so the only reasons people could possibly be leaving the house is to go to church. This is one of our few Polish bank holidays that is not unique to Poland – everyone around the world celebrates this day in some form or another! That said, there are so many interesting New Year’s Day traditions in Poland that make this holiday special. One of them is a superstition that the first person who steps into the house should be male. This is supposedly the only way to have luck in the upcoming year. It’s really funny – my (Karolina’s) mom asks my grandfather to visit us every New Year’s Eve morning just so he will be the first to step into the house! Ephiphany is another one of our Polish bank holidays that is strongly connected with religion. For Poland’s closest neighbours – Ukraine, Russia and Belarus – all of whom are primarily Orthodox Christian, this signifies the beginning of ‘Christmas‘. For Poles it’s an ending of celebrating Christ’s birth. Trzech Króli is a national holiday, so all the shops are closed. In most cities you can see a parade of the people dressed like kings. The parade in Warsaw is especially large, and you can find so many other things to see and do as well. Who doesn’t love donuts? Poles have a special holiday that is dedicated only to these special treats! The more you eat during the day, the better. Fat Thursday in Poland always precedes Ash Wednesday. It’s the last day to eat unhealthy food before Lent, when we are supposed to fast. This day provides us all a chance to eat donuts, completely guilt free. Your family members might scold you on any other day for eating too much sugar, but on this holiday everyone will understand that you’re just doing your national duty as a Pole! Never get rid of Fat Thursday Poland! Polish people are not THAT religious nowadays and hardly anyone fasts. 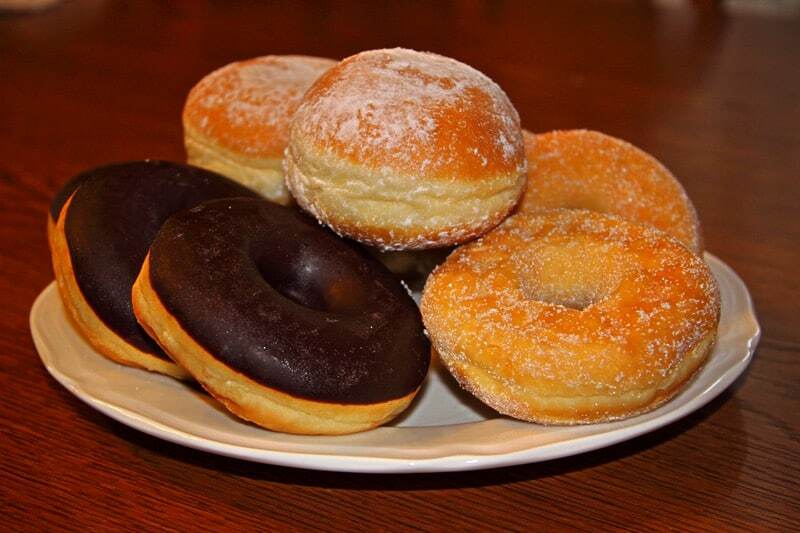 Everybody loves eating donuts though, so you need to have at least two of them on Fat Thursday. We have to admit, we really love this national day of Poland. Fat Thursday means you can eat as many donuts as you want and stay guilt-free! As we mentioned before, Środa Popielcowa is the beginning of Lent. There are two days in the Polish calendar when you should be REALLY fasting. One of them is Ash Wednesday and the other is Good Friday. Most people also go to church to pray and have ash placed on their heads. As you may know, Ash Wednesday precedes Easter by 40 days, so on this day you can start your countdown to Easter in Poland. If you love to celebrate Easter Poland is the right place to do it, as it is the second most important holiday to us, after Christmas. This is definitely one of our favourite holidays (just take a look at the photo below). March 8th is a day when every woman gets LOTS of flowers or chocolates…not only from her boyfriend, partner, or husband, but also from other family members and coworkers. Kids even celebrate it at school, so little girls get tulips or roses from their peers. How awesome is that? Karolina loves Polish Women’s Day! The first day of the spring is mostly celebrated by school kids. They have a free day to burn Marzanna doll. 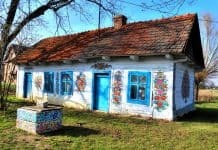 If you want to read more about this awesome Slavic tradition, read this. 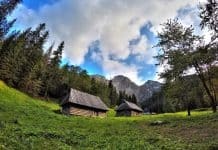 To visit some beautiful places in Poland that will leave you speechless, especially in the beautiful springtime, read this. Like we mentioned, Easter is the second most important Polish holiday after Christmas. This day is usually dedicated to family reunions and meeting with friends. Wielkanoc starts on Great Sunday, but the week before it is very important as well. When you spend Easter in Poland traditions will become evident. We pray on Maundy Thursday, fast on Good Friday and bless food and water on Holy Saturday. Every family eats a festive breakfast on Great Sunday morning. 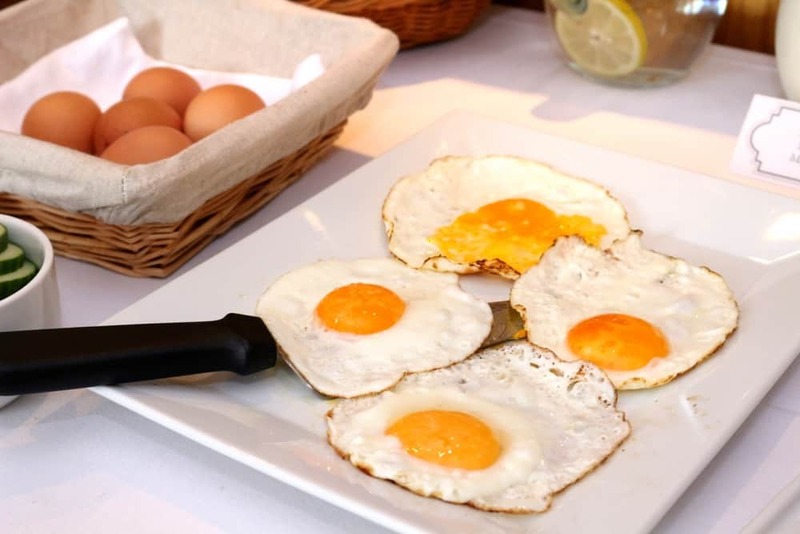 People share eggs and wish each other health, luck and prosperity. If you want to spend your spring in Poland Easter is a great time to come – you will eat lots of delicious food and have fun playing games! We have so many Easter traditions in poland. The day that all the kids are waiting for is Śmigus-Dyngus – Wet Monday. It’s like Songkran in Thailand: everybody has fun and throws water over each other. Be careful! If you are in Poland during Easter, you may get wet! We love our festive Easter breakfast! If you are planning holidays in Poland, don’t come in the beginning of May. Many people take the day off before or after weekend majowy to have a longer vacation. Almost everybody is traveling somewhere! 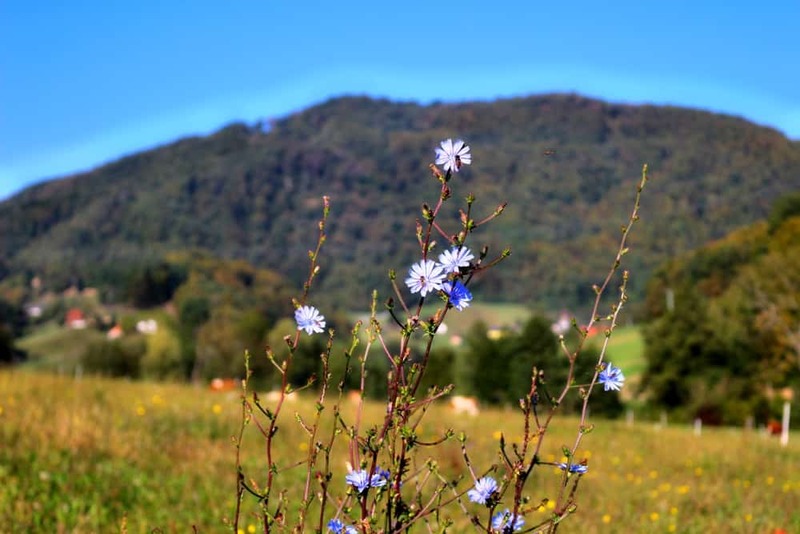 The Bieszczady mountains, the Tatra mountains and the Baltic sea are crowded with tourists. May 1st is one holiday we have left over from communist times. It’s International Workers Day and, ironically, nobody works then. Workers Day May 1 is actually a day to relax and not work, and Poles love it! May 2nd is a normal day, but May 3rd is another national holiday: Constitution Day. 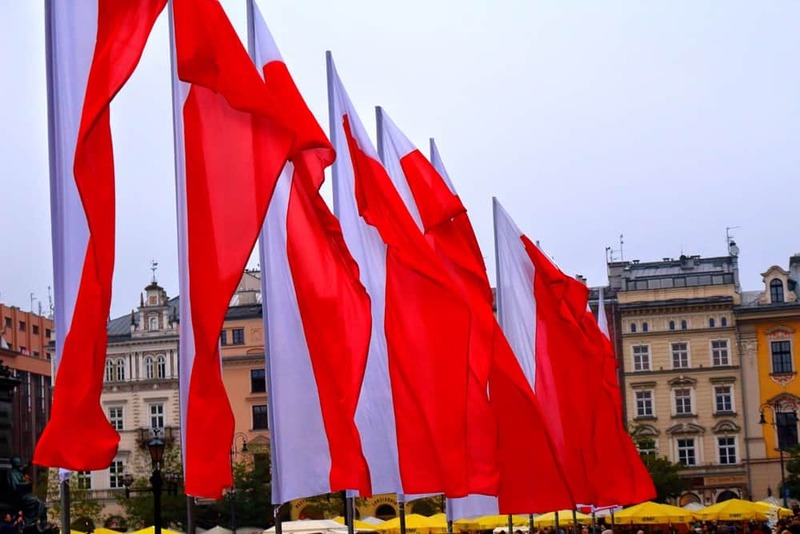 Poland Constitution Day celebrates the declaration of the constitution in 1791 and is is one of the Polish bank holidays that is truly a national day in Poland. Many Poles forget the meaning of Constitution Day Poland, though, and see it as an opportunity for a longer weekend. Their true national spirit comes out on Poland Independence Day! The first days of May are usually sunny, so it’s like the beginning of summer for us. May 26th is a very important day – it’s when Poles celebrate Mother’s Day. The best gifts for moms are flowers or chocolates. Mother’s Day Poland is unique in that a few days later it is followed by a holiday that celebrates their children! All the kids wait for June 1st because they receive sweets from their family members. What’s interesting is that it’s very popular to for children to get gifts from mom’s and dad’s workplace. This is usually a bag of chocolates, candies and other goodies that every child loves. Children are celebrated on this unique Polish holiday! Father’s Day is on June 23rd. It’s usually when the school year ends, which is why it’s a little bit less celebrated than Mother’s Day. Boże Ciało is a movable feast, celebrated on the Thursday that falls 60 days after Easter. It’s always between May 21st and June 24th. Corpus Christi is a national holiday and a day free of work. Every cit big and small has a procession of people who pray and praise God. Little girls throw flowers on the street and boys ring bells. August 15th has recently become a national holiday. 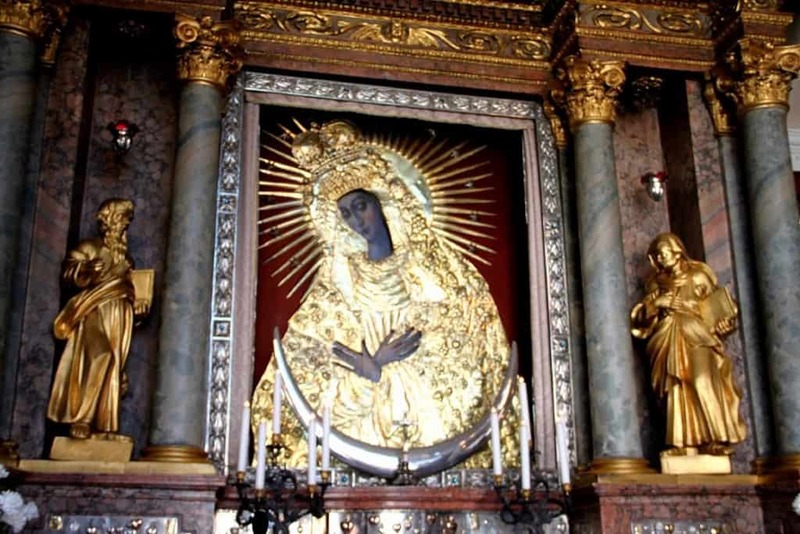 It’s another religious celebration – people pray to Mary, mother of Jesus, on this day. Americans have Halloween and Poles have All Saints’ Day. This is a national holiday and a day dedicated to those who have passed away. 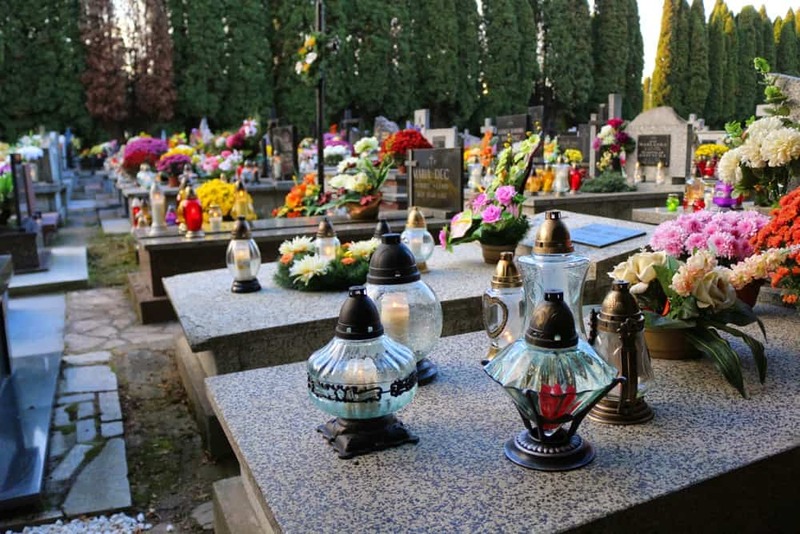 People visit the cemeteries, light candles and leave flowers on the graves of their loved ones. It’s also very popular to attend mass at the cemetery. 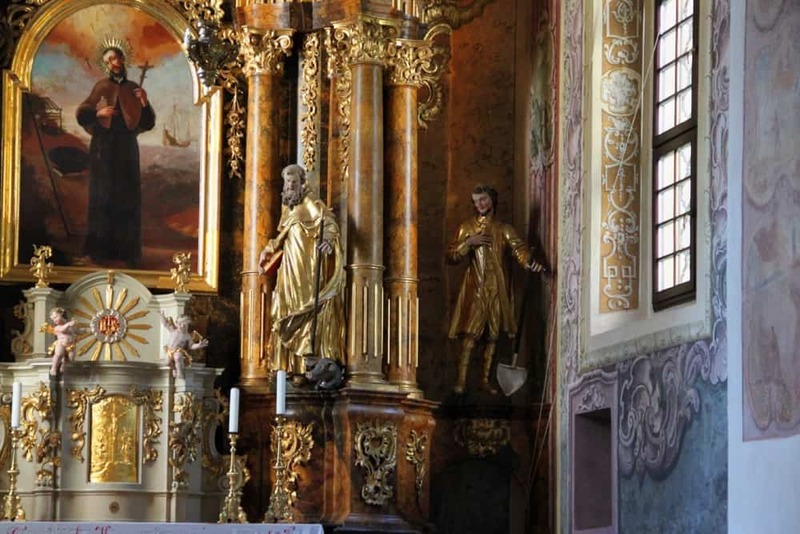 Aside from remembering the dead, Wszystkich Świętych is a time to reconnect with the family. People usually come back to their hometowns and spend time with people they haven’t seen for a long time. November 11th is a Polish Independence Day, so it is obviously one of our Polish bank holidays. 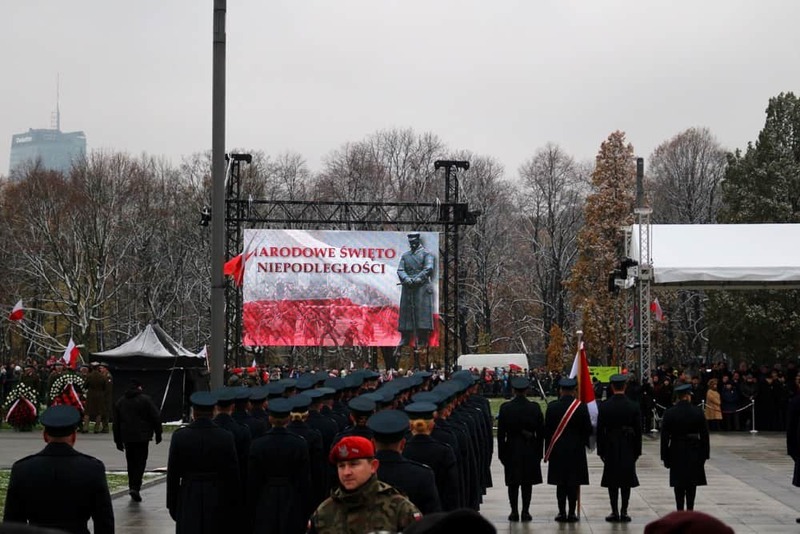 It’s very important day – on Nov 11th, 1918, Poland became a country again after 123 years of Russian and Germany slavery. Independence Day Poland is so important to our country that we might as well call it Poland Day! There’s a another great event this day that is celebrated only in Poznan. It’s a rogale świętomarcińskie festival. What are rogale świętomarcińskie? They are delicious croissants filled with marzipan. If you want to read more about them check our our post called Interesting facts about Poznan. All in all, Independence Day Poland is our most celebrated non-religious holiday. 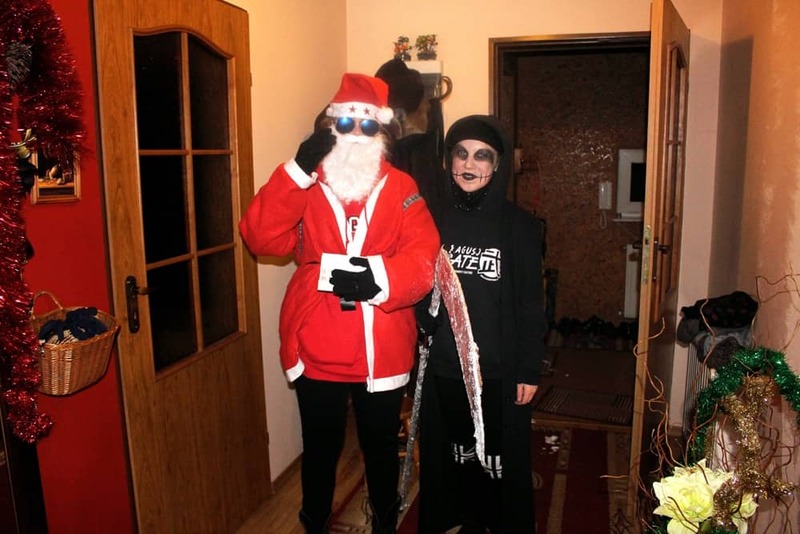 Did you know that Santa comes to Poland on December 6th? The gifts on Christmas Day are actually brought by an Angel or a Star. Mikołajki is usually celebrated in schools and kindergartens. Some families also celebrate at home. It’s sad, but Poland is getting more and more Americanized. December 6th is becoming an ordinary day and kids start to believe that Santa brings gifts only on Christmas Eve. We don’t have a Black Friday Poland, but we don’t need one because the whole month of December is spent buying gifts, as we have multiple gift-giving holidays to celebrate! 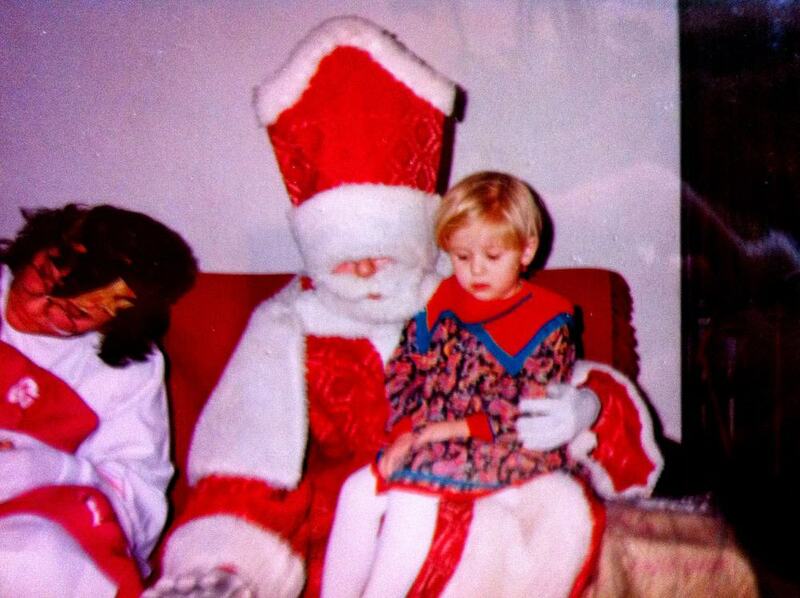 Santa’s Day in the 1990s! Christmas is definitely the biggest Polish holiday! The celebrations are long and pompous. 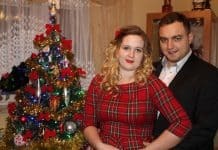 There is so much to tell about it that we’ve written a separate post about it: All You Need to Know About Polish Xmas. We love traditional Polish Christmas! 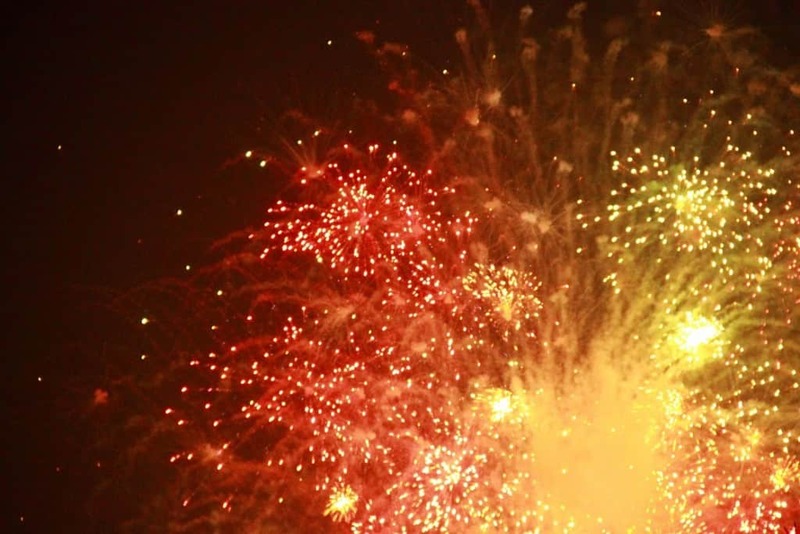 Poles call New Year’s Eve Sylwester, because Sylwesters celebrate their name on December 31st. (Yes! Poles celebrate not only birthdays but also name days. For more interesting facts about Poland, keep reading and check out this post). New Year’s Eve is celebrated in Poland like anywhere else in the world – some people go to restaurants, some stay at home and some go to big events. We’ve reached the end of our list, but there is one celebration we mentioned that doesn’t fall during a particular month and isn’t limited to a particular day. How can this be so? Maybe we should call it Names Day Poland or Name Days Poland – because Name Day Poland implies there is just one name we celebrate on just one day! However, we do celebrate names like we celebrate birthdays, so this holiday happens every day throughout the year, but each day is for different names. 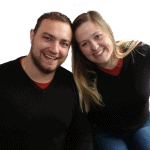 Name day in Poland means that everyone with a particular name celebrates on the same day! 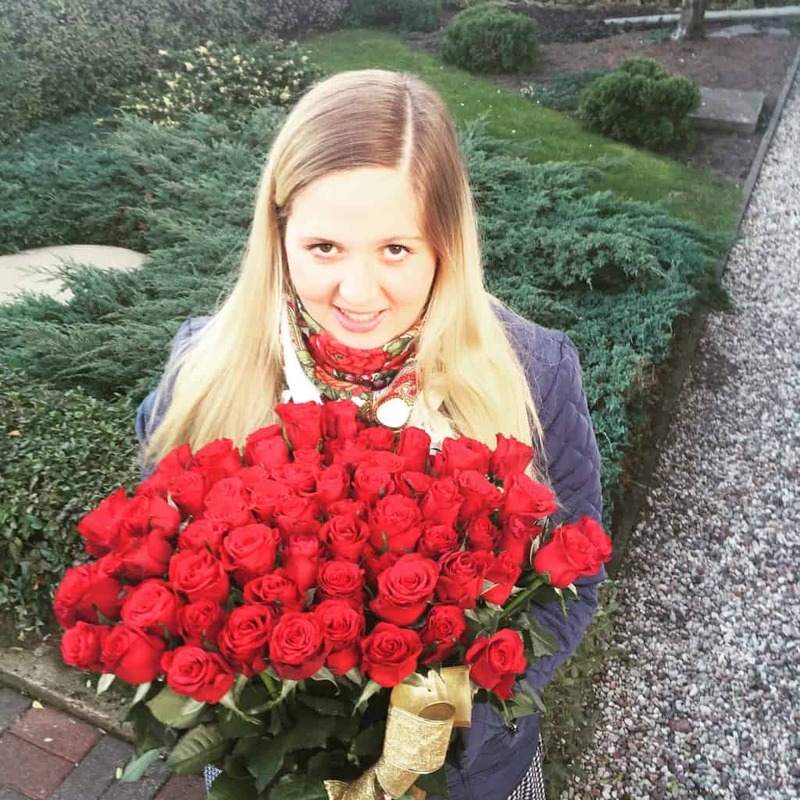 For example, on April 26th, every girl with the name Marzena celebrates her name day. However, since we celebrate name day in Poland every day, this obviously means it’s not one of our Polish bank holidays – to understand what that would mean, imagine birthdays being national holidays! There would be no work happening! 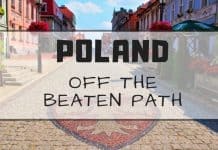 If this isn’t reason enough to travel to Poland, check out our post called 10 Reasons You Should Travel to Poland and we are sure you’ll be booking your tickets to Poland in no time. Szanowni Państwo, należy dodać do listy 1 sierpnia. Narodowy Dzień Pamięci Powstania Warszawskiego. Od 2010 jest świętem państwowym. Pomimo ogromnego znaczenia, święto to nie jest obchodzone powszechnie w całym kraju, dlatego nie zostało wyszczególnione na liście. Moim zdaniem jest o obchodzone powszechnie ale niestety krótko. O godz 17 wszyscy stają w miejscu szczególnie w Wawie) race płoną i syreny wyją. Cudzoziemiec na pewno będzie ciekawy o co w tym wszystkim chodzi. Warto go przestrzec. Isn’t there a St. Stanislaw Day celebrations on April 11th? Maybe but it’s not celebrated in Poland.